In September, 2004, 56 Canadian Hockey League teams began the quest for junior hockey’s ultimate prize. 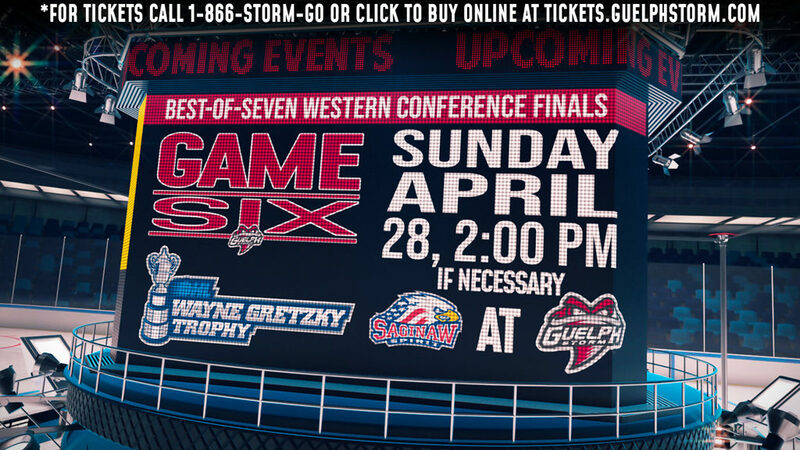 On Saturday, May 21st at 7:00 pm when the puck drops on the 2005 MasterCard Memorial Cup in London, Ontario only four teams will still be standing. The tournament opener will feature the two top-ranked clubs in the Canadian Hockey League when the London Knights square off against the Rimouski Oceanic live across Canada on Rogers Sportsnet. The 87th edition of the Memorial Cup features several intriguing story lines with the Ottawa 67’s and Kelowna Rockets joining London and Rimouski in the four-team field. The record-setting season for the London Knights ended with the organization’s first OHL Championship in their long 40-year history. The Knights’ championship run clinched the fourth consecutive OHL title for the OHL’s Midwest Division (Erie – 2002, Kitchener – 2003, Guelph 2004). 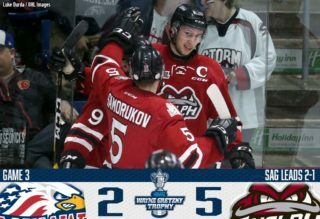 London also became the 10th team in 11 OHL seasons to win the title, with only the Storm repeating since the 1993-94 season. While the Knights were already assured of a berth in the Memorial Cup as the host team, the veteran team capped off a tremendous regular season with a five game series victory over the Ottawa 67’s in the finals. 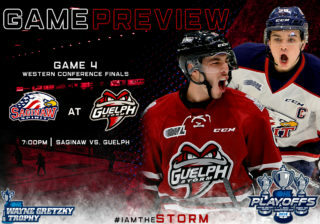 London’s route to the finals included four-game sweeps over the Guelph Storm and the Windsor Spitfires in the first two rounds before needing five games to beat the Kitchener Rangers and the 67’s in the semi-final and final. Ottawa, led by Hockey Hall of Fame coach Brian Kilrea, the 67’s enjoyed a tremendous post-season run. 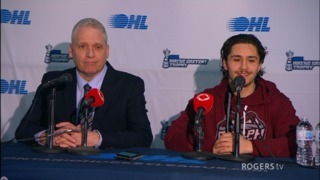 The 67’s, the sixth seed in the East heading into the playoffs, beat Barrie in six games, Sudbury in six games and the Peterborough Petes in four straight games to advance to the OHL final. Ottawa’s run of playoff upsets was led by goaltender Danny Battochio. The Sudbury native faced 836 shots in 21 post-season games (approx. 40 per game). Led by reigning CHL Player-of-the-Year Sidney Crosby, the Oceanic finished off the Halifax Mooseheads in four consecutive games to win the Q title last week, earning their second league championship in franchise history. Crosby was virtually unstoppable in the post-season, scoring 31 points in just 13 playoff games to be selected as the league’s playoff MVP. Rimouski got a first-round bye the Q playoffs, and lost just once in the post-season, posting a 12-1 record. While Crosby garners most of the attention, the Rimouski boast several other explosive offensive weapons. Dany Roussin (116 points) and Marc Antoine Pouliot (114 points), were second and third in QMJHL scoring, respectively. In total 8 different Oceanic are NHL drafted with 3 others, including Crosby, ranked in the top 100 for the next NHL Entry Draft. Rimouski swept Lewiston in four straight games, needed five games to beat Chicoutimi and then swept the Mooseheads to finish the job. The Oceanic went on one of the greatest runs in league history over the second half of the season, finishing the regular season on a 28-game unbeaten streak. 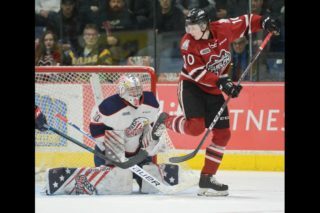 Including the playoffs, the Oceanic have lost just once in the past 41 games heading into Saturday night’s Memorial Cup opener against the Knights, who went 16-2 in the post-season. The defending Cup champions, Kelowna is seeking to become the first team to win back-to-back titles since Kamloops managed the feat in 1994 & 1995. With their five game series win over the Brandon Wheat Kings in the WHL Championship, the Kelowna Rockets locked up a spot in the Memorial Cup for the third straight season. The last time a WHL team made three straight Memorial Cups was the Westminster Bruins from 1976-78. The Rockets closed out the WHL final with a conving 8-3 win over the Brandon Wheat Kings, giving Kelowna the best-of-seven series four games to one. 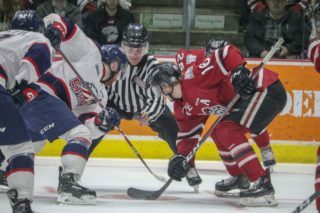 The Rockets lost a total of eight games in the WHL playoffs and faced elimination twice in their second round series against the Seattle Thunderbirds after falling behind in the series 3-2. But Kelowna came up big in the big games, starting the WHL post-season with a six-game series win over Vancouver. The Rockets then beat Seattle in seven games and Kootenay in six games before advancing to the final against the Wheat Kings. The WHL title was sweet revenge for the Rockets, who were eliminated early in last year’s WHL playoffs and had to watch the league’s final while waiting to host the Cup. The Rockets return 14 players from last year’s CHL champion team and eight more who played in Quebec City in 2003.